Like many of you have already experienced, the stock radiator in my 93 TT is finally on the way out. I know I know, why would anyone ever waste the money on a no name Autozone/Napa/Pep Boys radiator? Well the OEM radiator from Toyota goes for $550, and after reading poor reviews on every performance radiator on the market (Fluidyne, Mishimoto, Koyo) I'm wondering if anyone has gone this route and had any feedback positive or negative? Those radiators are usually reboxed SPECTRA PREMIUM Brand radiators, they're used by virtually every shop out there! even toyota dealerships for applications discontinued. Nice part is if you do not want to go this route you can take it back. I have had the Koyo radiator in my car for 2 years and have had zero issues with it. No leaks or cooling issues. clearly your teacher has never run 35 psi on 2.75 a gallon gas. I had my OEM crack withing few month of ownership, after I found the cost of OEM I went with Fluidine (apparently before it was made in Asia) and it worked great ever since. I read old PHR rads were rood too. As far as el cheapo, I got a one from rockauto for my m45, no issues for over a year now. is it leaking? maybe you just need a flush? I've never had a problem with Koyo or Fluyidine. I've heard/seen bad things with mishimotos though. New OE or reputable aftermarket and you should be fine. Thanks for the responses guys - keep them coming if you have had any experiences good or bad. Unfortunately the seal is starting to go at the top of the tank. I've had my Koyo on for about 6 years with no problems. It is slightly reshaped after I overheated and blew a head gasket on a road course, but no leaks! Len! Looks like you've got some quality feedback on the Autozone radiators. Whichever route you decide to go, I just can't wait to work on your beautiful Supra again. Gonna be a fun day! Spectra Premium is what autozone sells. I worked for AZ for about 6 months and never got one returned. I dont have any personal experience though. However, they offer a lifetime warranty, how can you lose? On a side note, before I bought my Mishimoto radiator, I bought the Spectra Premium. After waiting a few days for it to come in, they failed to deliver it and AZ said they couldnt get it any more. Since it was still in their catalog, they told me they could reorder it. I decided not to wait and go for Mishimoto because they offer a lifetime warranty too, plus the bling factor. Rockauto offers great prices but thier warranty doesnt compare to AZ. Last edited by supradriver247; 11-09-2012 at 09:23 AM. I'm curious - what does the lifetime warranty cover or exclude? There are so many things that a driver can do to screw the radiator up (AMHIK! ), I just wondered what is covered? I've installed a Megan racing radiator for a bud with a SC. They list it for the MKIV but it fit without any issues. 3 large cores all aluminum with a hi pressure radiator cap. That's the route I will go when it's time for me to change. Technically it only covers hairline cracks, but if you know them it covers anything, lol. Mishimoto offers an even better warranty(ANY CIRCUMSTANCES replacement). Last edited by supradriver247; 11-09-2012 at 04:26 PM. I've been running my Mishimoto for 7 months now. If I remember correctly they redesigned their MKIV radiator. The neck on it sat too high I believe. Also, I changd out the radiator cap immediately. I've read through threads and their caps seem to be an issue. I'm running a Stant 10333. That said I've had ZERO issues with mine. From what I've read their warranty support is exceptional. I've been nothing but please with mine. Good to know. Maybe I can remember that the next time I blow something up! My stock one split after so long and I picked up a Mishimoto. It's been great and fits without any issues. I also heard about Mishimoto caps having issues, though mine has held up totally fine. I have a napa spectra radiator in my supra. Have no issue with it for three years. Why waste money on a radiator thats polished chrome when it doesnt add horsepower is myway of looking at it. Well if you shop around, a Mishimoto radiator is cheaper than a Spectra radiator. Especailly with those high Napa prices. lol. Last edited by supradriver247; 11-12-2012 at 11:50 PM. 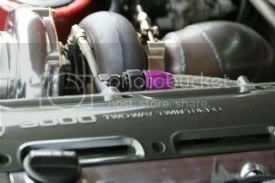 rockauto has SPECTRA listed for 155, just pick up an oem/trd cap with it. My Mishimoto was $264 shipped from Amazon. From what I've read Mishimoto stands by their product and their warranty is great. I can't speak for Spectra but I'm happy with my Mishimoto. 35.00 off royal purple oil change @ pep boys! By SC2JZGTE in forum New Members Forum!